The British Association for Psychopharmacology (BAP) supports the humane use of animals in biomedical research in the UK. Across the activities of the BAP and its’ members, we work to foster a culture of care and best practice in psychopharmacology research. BAP promotes the replacement, reduction and refinement (the 3Rs) of animal research and the correct reporting of animal experiments through adherence to the ARRIVE guidelines. Experiments using animals make an essential contribution to the development of new psychiatric medicines and understanding the underlying disease processes. The BAP represents approximately 800 clinical and non-clinical members who work in the health service, universities and in the pharmaceutical industry. Our members are engaged in research looking for new ways to treat debilitating, sometimes life-threatening, psychiatric disorders such as anxiety, depression, schizophrenia and addiction. This includes research in humans and in animals, to evaluate the effectiveness of existing medicines, as well as the discovery and development of new treatments. Alongside work in cell cultures and isolated tissues, animal research is vital in studies involving the brain to understand how drugs affect the whole animal, brain function and behaviour. 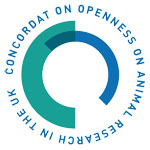 BAP has signed the ‘Concordat on Openness on Animal Research’. We are committed to being open with the public about how, when and why animals are used in research. As a learned society, BAP supports education in psychopharmacology to develop its’ members understanding of animal research in psychopharmacology (e.g. Non-Clinical Certificate) and also funds animal research through the 'In Vivo Training Initiative'. The law governing the use of animals in research in the UK only permits animals to be used in research where there is no alternative. The law sets very high standards for animal welfare and stipulates that the most refined procedures available must be used at all times. Further information on the regulation of animal research can be found at the Understanding Animal Research website. The BAP is signatory to the 'Concordat on openness in animal research', details of which given below.